This Mini Garden Frame is designed to stand directly on the soil or on a raised base. Side and top panels slide for easy access. 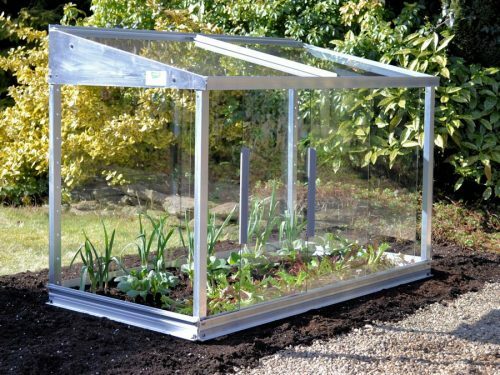 This mini Cold Frame glazed in safety glass and has a 25 year framework guarantee. For more information read our Growing Guide. With standard delivery pay 4 monthly payments of just £52.00 – more info. Optional shelves can be fitted, takes up to 2 shelves – however our Half Growhouse is the same size and includes shelves. 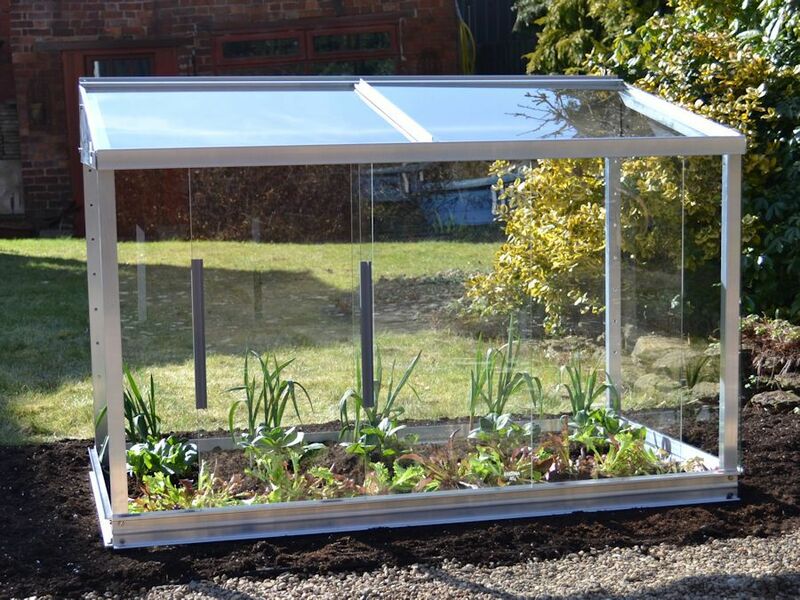 Note: Cold Frame Louvre Vents and Cold Frame Mist Watering cannot be fitted to this model. However a VA6 value auto louvre can be purchased, but if purchasing shelves only NARROW shelves can then be used. The SWFW watering kit can be used with this model. I received my frame in good order and it was left as asked when we were out. You do need to read the instructions very carefully but I did not run into any major problems. I am hawever left with 8 little black rubber end caps which I do not know where they go. At the moment I have used them to stop the movement of the top glass. Arrived promptly before Easter, well packed and in good condition. Allow plenty of time to assemble. We found we needed a baseboard so that slowed things down too. Recommend the shelf unit. End result is great. 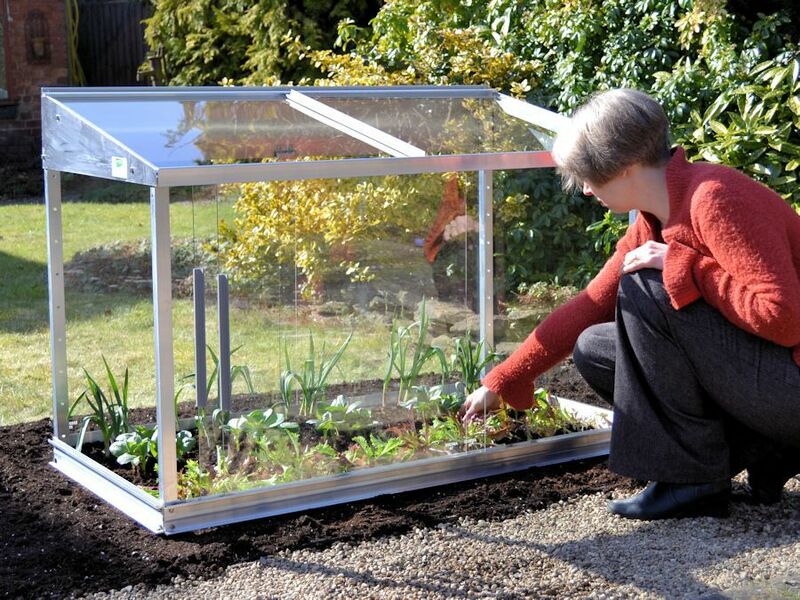 It may be mini but holds more than our other coldframes and we especially like the front sliding doors. 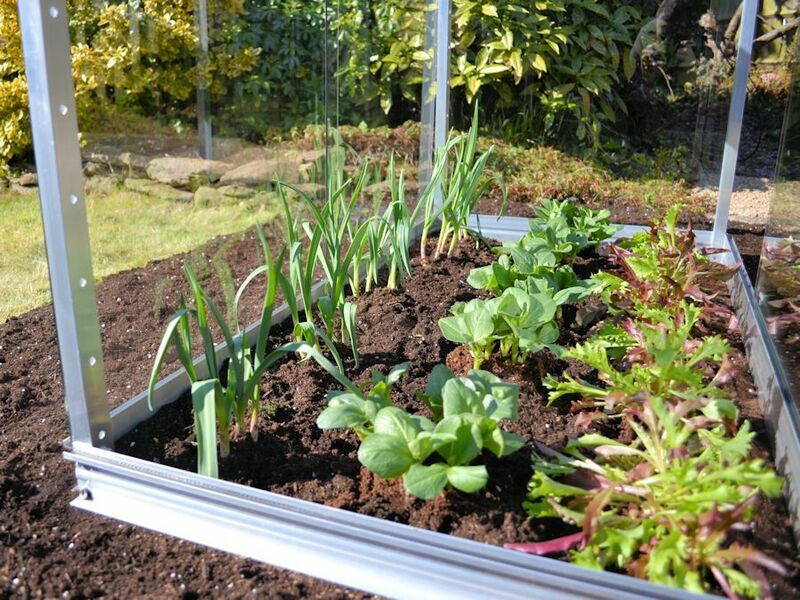 It’s working – trays of seeds germinating already!